Hi! I’m Holly – owner, designer, and all-around geek girl at Web Goddess. Once upon a time BC (before children), I was a Microsoft Specialist Software Trainer in London and Cambridge, before going freelance in 2003 and working UK-wide. I have always designed, developed and maintained my own websites, and over the past 14 years I have used a range of online website builders as well as creating more complex websites using WordPress, so I can advise you on the best way of getting your business online. It’s my Web Goddess mission to help my clients create stunning websites and to teach them how to effectively manage their own online content – including making the most of social media. I have a real understanding of the needs of sole traders and business owners and love to see my clients gain digital confidence within their businesses. As well as running Web Goddess, I am also a holistic business coach and currently a voluntary Network Leader for the Uttoxeter branch of Women in Rural Enterprise (WiRE). Many of my clients come from my networking connections, or are fellow holistic therapists and solopreneurs who just want more control over their own online presence. 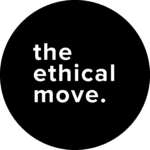 I’m a card-carrying member of the ethical move – a movement that is setting out to empower conscious consumers by creating a new standard for marketing based on transparency, responsibility, trust, and honesty. It means that all of my pricing is clear and open and I will never use any underhanded marketing techniques to scare you into buying from me. Now that’s got to be a good thing, right? If you think we’d work well together, get in touch and I look forward to helping you create an amazing website and feel confident about your digital business assets. I'd love to chat and help you create an online presence that you are proud of. Don't be shy, I won't bite!